Every year the Woburn Sands Town Council has to set and approve the budget for expenditure in the forthcoming year. This enables the Council to determine the amount of money that will be required from residents who are council tax payers, this amount is called the Precept. The budgeting process begins in October when the Halls Committee and the Environment Committee meet to decide how much money will be needed to carry out the functions of the Council that those committees oversee. The Finance Committee meets in November to consider the draft budgets for Halls and the Environment together with the general expenditure of the Council. At this meeting a draft budget is drawn up but not finalised. A further meeting of the Finance Committee is held in January when further information becomes available from Milton Keynes Council about the number of council tax payers who will contribute to the precept, that is, which forms the Tax Base. At this meeting the draft budget is finalised so that it can be approved at the full council meeting in February. The financial year for the budget runs from April through to the end of the following March. Section 106 money, which is money that developers pay to MK Council when permission for development is approved. The approval will stipulate the amount that the developer will need to pay and the purposes that it will fund. A portion of this money can be passed on to the WS Council for community based projects that are included in the S106 agreement. The WS Council have the powers to raise a Precept, or tax, from the community to pay some of the costs of running the town. The amount of the Precept is decided by the Councillors and is calculated to cover the needs of the Budget which is produced each year. The Budget details how the WS Council intends to spend the Precept money, for example, to maintain the various halls and other facilities available in the town. The Woburn Sands Precept is added on to the MK Council Tax and is shown as part of your Council Tax bill. The WS Council must keep Accounts showing the Expenditure of the Precept and an Audit is carried out each year to ensure that there are no financial irregularities. All building developments over 10 dwellings in size carry with them a requirement to pay a S106 contribution to Milton Keynes Council. This money is set as an amount per dwelling to be paid by the developer. It must be used in a way that benefits the community affected by the development, that is relevant to the proposed development and which supports the local infrastructure. MK Council has a number of fixed “pots” into which this money is paid, for example into health facilities, education, crematoria and graveyards, highways, community facilities, emergency services and leisure facilities. MK Council then allocates the money, ideally in discussion with the Parish Council. 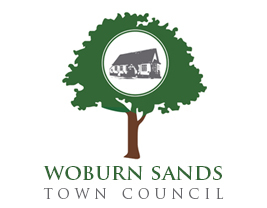 Over the years, Woburn Sands Town Council has been able to negotiate with MK Council for S106 monies to pay for: the conversion of The Institute into a library; for St Michaels, our Parish Church, to improve its graveyard facilities; for Asplands Medical Centre to extend its premises and refurbish the waiting rooms; for improvements to the allotments and for the refurbishment of The Summerlin Centre. In the near future, S106 money will be supporting the provision of a Sports Hall. In recent times most of this money has come from the development of Parklands which has also contributed money towards the hospital, crematorium, highways improvements and other Milton Keynes facilities that are used by the whole community. Included in the budget are a number of items listed as S137 expenditure. This is expenditure for items not covered by other categories in the budget as defined in the Local Government Act 1972 (amended in 1989 and 2007). This limited sum is largely concerned with grants and donations to local organisations or other specific payments that benefit the town and local residents. For example, in 2017, an S137 donation was included in the budget for the Gravel Pit Close Charity to commence some refurbishment works to The Old Fire Station Building and Grounds. Money has been set aside in 2019/20 to rectify damage of flooding under the stage in the Memorial Hall. Money set aside for staff salaries have been increased to bring staff up to the National Living Wage. It was agreed to carry out some consultations with businesses etc. regarding the cost of maintaining the public WC this year. Details of our approved budget can be seen at the Town Council offices via the Town Clerk. Actual Income/Expenditure accounts for the previous three years are given in the links below.